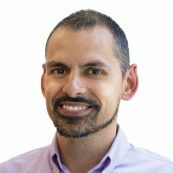 Rodrigo Soares is a Senior Program Manager with significant experience in program design, management and monitoring and evaluation of a wide range of complex international volunteer programs. He has managed over 500 international volunteers and more than 100 International Corporate Volunteer (ICV) projects in emerging markets for companies such as IBM, Pfizer, PepsiCo, FedEx, Celanese, John Deere and Dow Corning. Rodrigo has superb people management, CSR strategy, consulting, customer service, multicultural and logistics skills. He has visited over 25 countries and managed projects in different themes including health, education, tourism development, information technology, marketing, human resources, business plans and organizational development, etc. Prior to working for the nonprofit sector, Rodrigo worked as a travel consultant for a tour operator in Oregon specializing in travel services to Latin America and Europe. Rodrigo has a Master's of Tourism Administration from The George Washington University and a B.A. in International Relations from Willamette University. Rodrigo is originally from Rio de Janeiro, Brazil and he is fluent in English, Portuguese and Spanish.